Chipotle chilies are smoked and dried jalapenos. The unique combination of smoky flavor with peppery heat makes these perfect for so many uses. They can be put in soups, sauces, and beans or ground into a fine powder and added to spice rubs or sprinkled over vegetables. There are several ways to prepare chipotles, but first, you must begin with nicely ripened jalapeno peppers. Try to look for jalapenos that are firm without any soft spots. They should have a good, bright red color without any loose stems. The fresher the peppers the better the result. One word of warning. 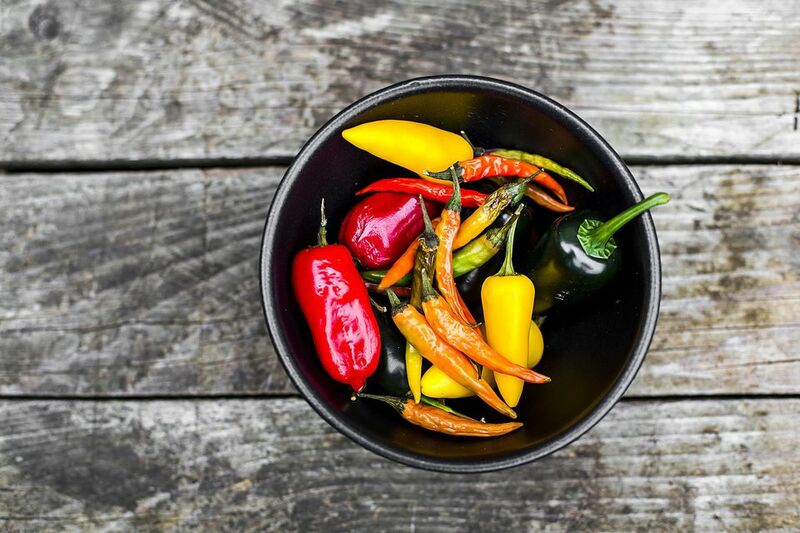 No matter how you approach making the chipotles, you will be handling chili peppers a great deal. This means being very careful when touching sensitive areas, like your eyes. I fully recommend purchasing disposable food handling gloves before you start this project. The jalapenos need to be carefully washed and dried before they go into the smoke. This is a good time to double check them for blemishes and soft spots. You can smoke the jalapenos just the way they are now. Opening up the chilies allows the moisture to get out of the peppers and speeds up drying time. Removing the membrane and seeds from the inside of the jalapenos will reduce the heat. If you want the peppers hot, leave it intact, just be careful handling them so you don't lose too many of the seeds. The most important ingredient to chipotles is the smoke. You want to use a relatively mild wood for this. Fruit woods are great, as are hickory, oak, and pecan (the Mexican traditional wood). Make sure to have a good supply because the longer you smoke the peppers, the better the chipotles will be. It takes about 48 hours of dry heat to dry out a batch of chipotle chilies. Few people want to spend this much time smoking them so, you might consider transferring them to another appliance to complete the drying process. You can use either a food dehydrator or an oven. Either way, you need plenty of time smoking the peppers beforehand. Make sure that the smoker is clean. Grease and fat drippings inside will influence the flavor of the chipotles negatively. The trick with smoking chipotles is to avoid cooking them. Keep the fire smoky but low. You want to maintain a low temperature while still producing smoke. Move the chilies as little as possible, but depending on your smoker, you may need to rotate them to keep an even heating. As the jalapenos smoke, they will start to turn almost black and dry up becoming leathery to the touch. Depending on how long you smoke the jalapenos, they may be nearly done or need more time to completely dry. You want the chipotles dry so that they will last without losing their flavor. Chipotles that are not completely dry will lose the smoky flavor over time and will need to be refrigerated or frozen to preserve them. You can use a food dehydrator to dry your chilies. There is one drawback to this, though. The smokiness of the chipotles will soak into the surfaces of the dehydrator, leaving it with a smoky flavor for days, or even months. Lastly, you can finish off the chipotles in the oven. This will release a smoky aroma into your house for a day or two, but it won't be too bad. Set your oven to a very low temperature (below 200 F) and spread the chipotles out on baking racks. Don't place them on a cookie sheet or pan, as this will impede the drying process. Store chipotles in a cool, dry place. You can rehydrate chipotles by placing them in warm water for an hour. This will make it easier to dice them up and add them to your favorite recipes. Alternatively, you can grind up the dried chipotles to make a chipotle chili powder. This is a great seasoning for any dish you want to add smoke and heat too. The great thing about chipotles is that you can add smoke flavor to virtually anything without firing up the smoker. Want a smoky spaghetti sauce, add a little chipotle.